Home > News > Company News > Awesome, Dahua Crusher! In recent years, the products from Luoyang Dahua are vary popular at home and abroad. Our crusher machines can be seen in Cameroon, Pakistan, Georgia, Armenia, Singapore, and Russia. Luoyang Dahua enters into the world market quietly. The popularity of Dahua products is no accident. After the introduction and learning of the advanced technology from Europe and the United States, the crushers independently developed by Dahua now have excellent performance, the products cost performance far more than the most products in the industry. Choosing Dahua is choosing success. 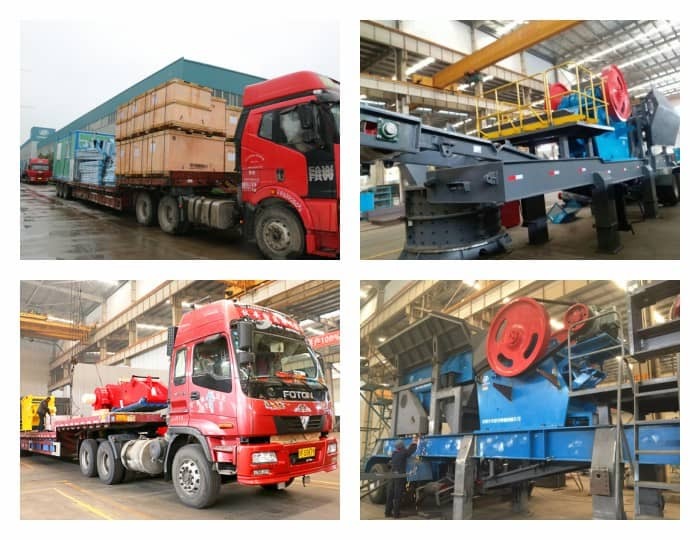 Our technician will take field trip, based on the local situation, habits and precautions during construction, improving the equipment more localization to meet the customer's production demands. In addition to the product aspect, our company can provide all-around service. After purchase of the machine, we will supply one to one service from equipment installation, commissioning to the training. Dahua devotes to provide the professional and excellent products and service, welcome old and new customer contact us: lydhchina@huazn.com or +86-379-62669978. Previous Article：How to choose the Sand Making Machine Manufacturer? Next Article: How to choose Steel Slag Mill Machine?